The Perfect Shower. Fair and Square. With its sleek angular design, the Raindance E shower collection combines a stylish and modern aesthetic with unparalleled quality, providing an unforgettable shower experience. 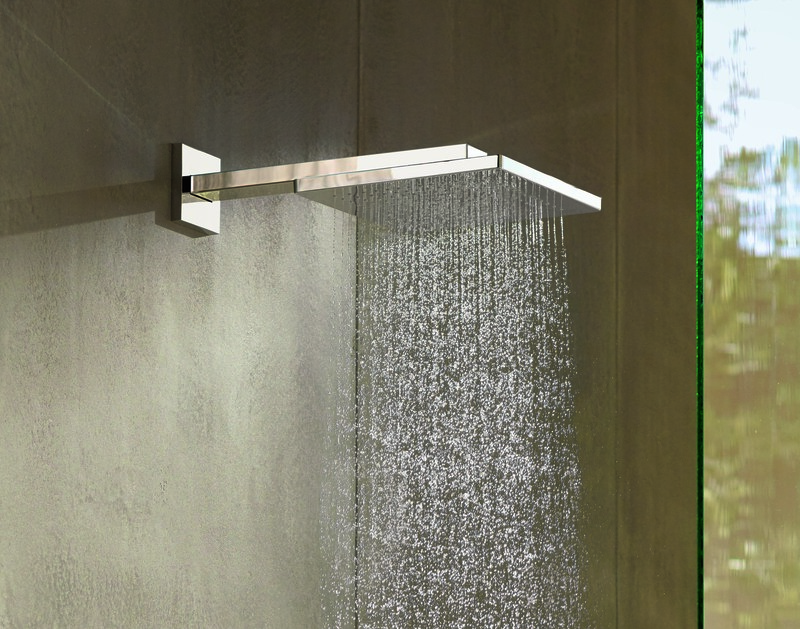 This range offers both wall and ceiling mounted rain showerheads, creating a natural waterfall sensation. For added functionality, the ShowerTablet 600 allows for temperature and volume control, and at nearly two feet in width, it’s the perfect place to store all of your shower necessities. The Unica Wallbar provides additional shelving for even more space-saving organization. AirPower: Voluminous drops infused with air, delivering an invigorating high-performance jet. QuickClean: Anti-limescale function with silicone spray channels which enable you to simply wipe away deposits. EcoRight: Keeps the flow to a minimum to save water and energy without sacrificing performance. Here you will find our comprehensive range Raindance E shower products. Enhance your shower experience with all that hansgrohe has to offer.